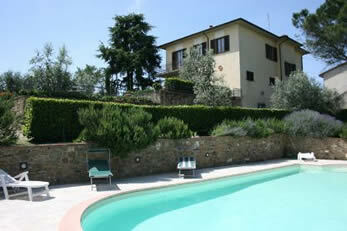 Villas, near village, private pool, sleep 8 people. 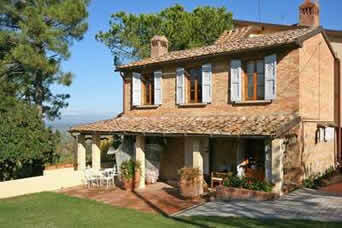 The villas below are all either inside or within 2 km of an Italian town or village. All have a private swimming pool on site. For more details of facilities close by please click through to each individual property description or contact us here. La Pietraia, Castiglion Fiorentino, Tuscany. 3 bedrooms, 3 bathrooms. Private pool. Rental prices from Euro 870 to Euro 1320 per week. 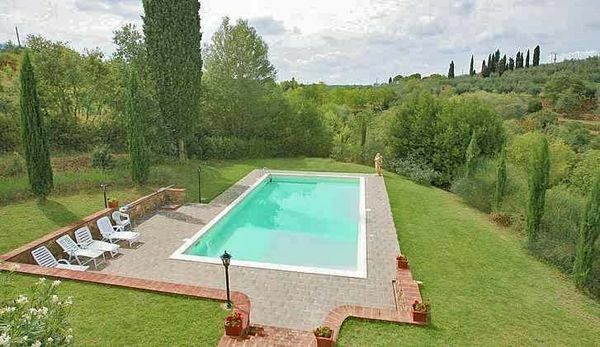 Distance to town of Castiglion Fiorentino: 1 km. 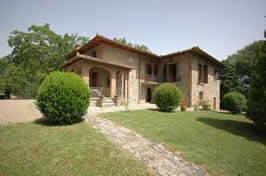 Villa Francesca, Montanare (near Cortona), Tuscany / Umbria borders. 3 bedrooms. Sleeps 8. Private pool. Rental prices from Euro 1130 to Euro 1920 per week. Distance from Montanare with restaurant and mini-market: approx 1 km. Air conditioning on ground floor. Casale Ambra, Ambra, Tuscany. 4 bedrooms, 2 bathrooms.Private pool. Rental prices from Euro 1545 to Euro 1893 per week. 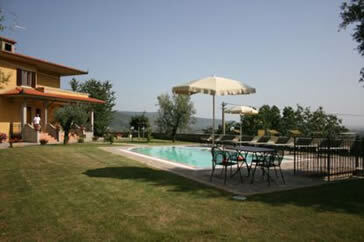 Distance to the village of Ambra: 900m. Availability. Il Poggiolo, Monte san Savino, Tuscany. 4 bedrooms. Private pool. Also private tennis court on site. Rental prices from Euro 950 to Euro 2050 per week. Distance to food shop: approx. 500m. San Lorenzo, Monte san Savino, Tuscany. 3 bedrooms. Private pool. Rental prices from Euro 950 to Euro 2050 per week. Distance to food shop: approx. 1 km. 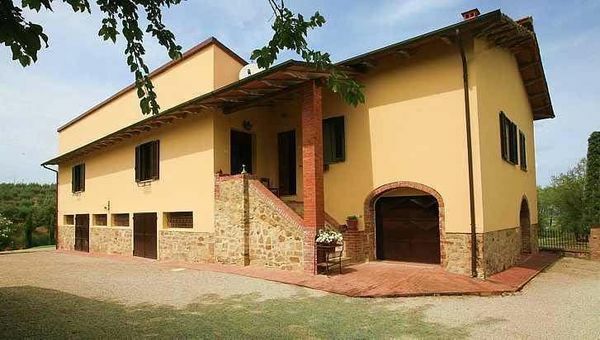 Casa Gabriella, Montaione, Tuscany. 4 bedrooms. Private pool. Rental prices from Euro 2068 – Euro 2954 per week. Distance to food shops: 1km. Availability.